SKU: 20131128. Category: Slim Jims. 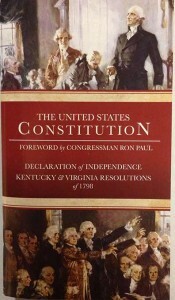 You will not find another Pocket Constitution like this one! 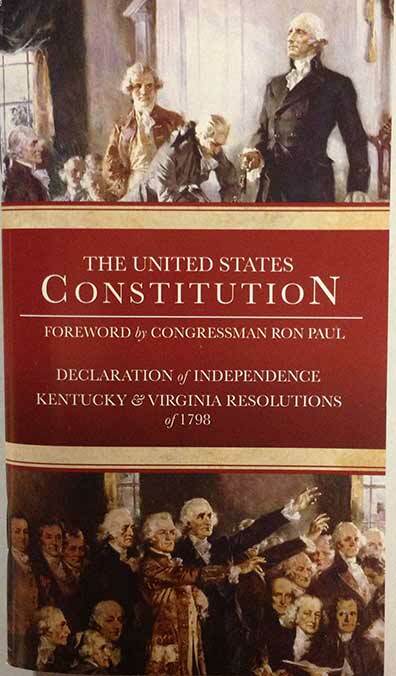 Created specifically for C4L, it contains the United States Constitution, the Declaration of Independence, the Kentucky and Virginia Resolutions of 1798 plus a forward by Congressman Paul. In addition, author and historian Tom Woods gives a special introduction to the “Principles of ’98″. With an attractive glossy cover featuring scenes from the signing, it is available in bulk for circulating. 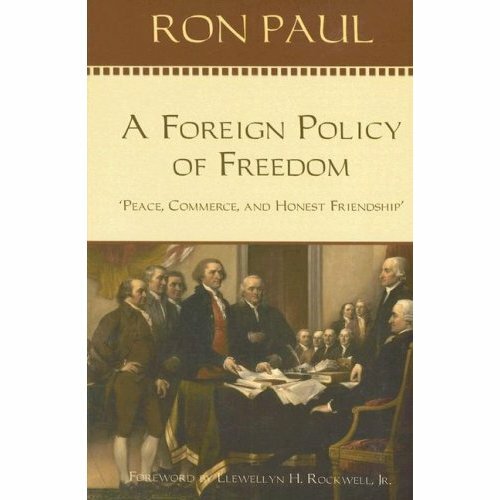 Complete Contents: Forward by Congressman Paul on the Constitution; Declaration of Independence; U.S. Constitution; Amendments; Introductory statement on the “Principles of ’98″ by Tom Woods; Kentucky Resolutions of 1798; Virginia Resolutions of 1798; About Campaign for Liberty.